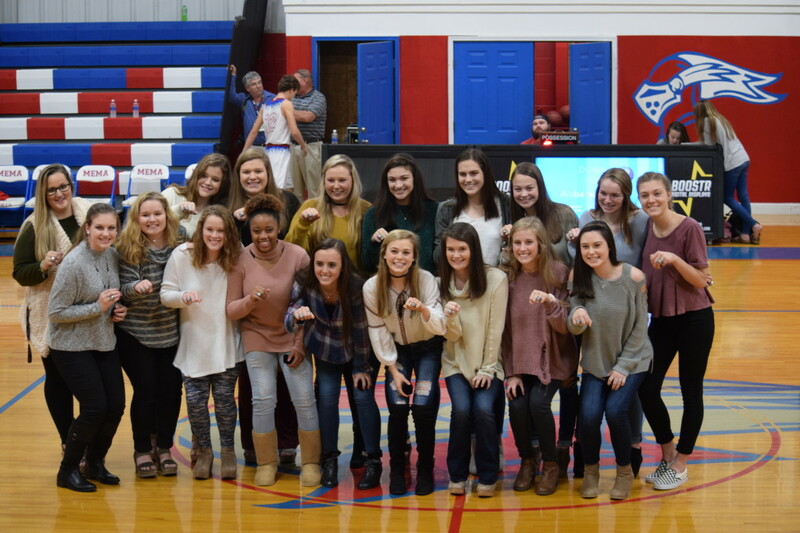 The AISA AA State Volleyball Champions received their state rings following an exciting 32-3 season. With a new coach, Codi Moon, and a loss to Coosa Valley in last year’s title game, the team was determined to work hard and reclaim the state title after a crushing end to their 5 year reign. With the 3 losses coming early in the season, the Lady Knights worked hard on and off the court to land in the final match of the year with rival school, Glenwood. In just 3 sets, the team defeated Glenwood and once again won the state championship, and these rings are proof that their grit and determination paid off. The Lady Knights made a triumphal return to the AISA AA state tournament this year after a fall in last year’s championship game ending their 5 year streak on top. Under the leadership of head coach Codi Moon, the team’s motto “Grit” kept them fighting all season to get the trophy back. With a 32-3 season record, the teams’ losses came early in the year and inspired them to press on. With trophies from the Glenwood and Edgewood tournaments and an impressive season record, they went on to be crowned Area champs, Region champs and finally the AA State Champions. With four new starters on the court and Coach Moon as a first year head coach of the squad, the girls proved the Knights’ pre-season predictions wrong and earned their spot back at the state tournament. 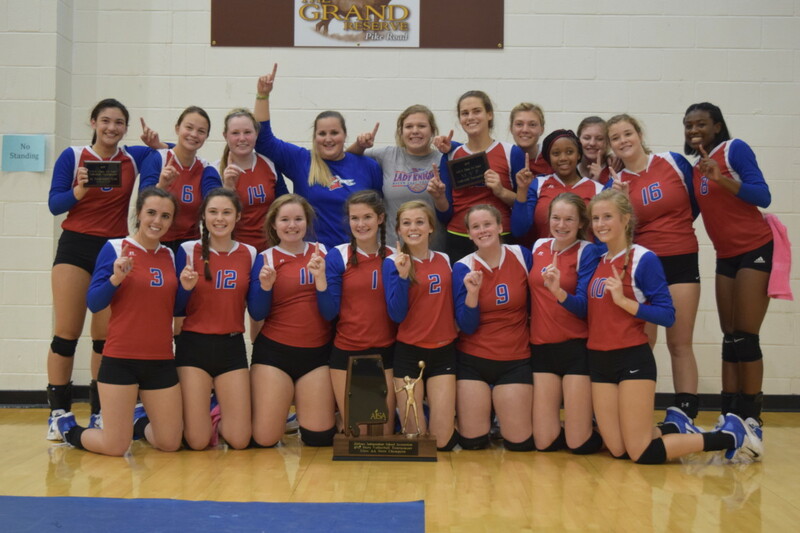 In Final Four play at Faulkner University, Macon East faced off with Lee-Scott Academy winning the match in 3 close sets. This set the stage for a state championship dual with the Glenwood Gators. 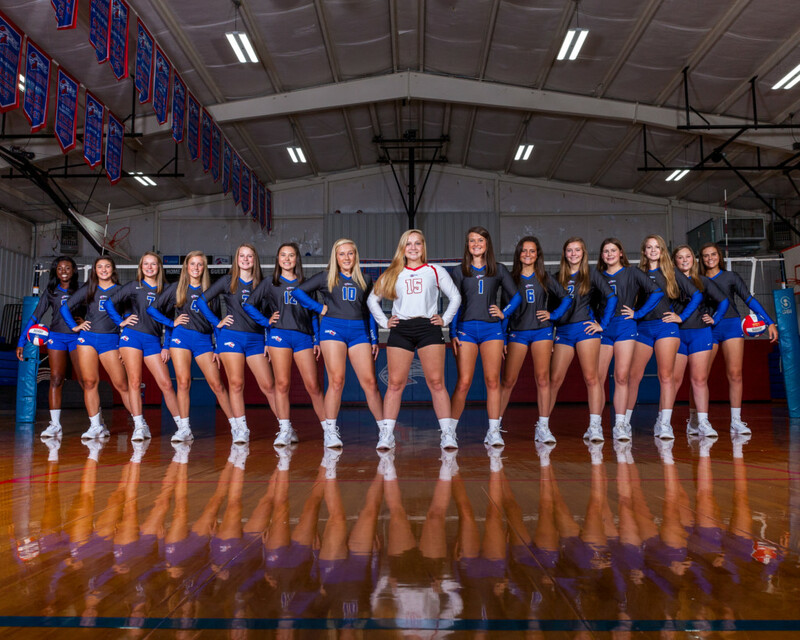 Once again, the Lady Knights got it done in just three sets (25-16, 25-12, 25-9), taking back the AA title that had been taken from them in 2016 by Coosa Valley. AA State MVP, Madisyn Kennedy has led the team all year with 389 kills, 12 blocks, and 88 aces on the year. She reached a milestone of 500 career kills this season as a junior. Newcomer Ariel Brown had 289 kills, 37 blocks, and 60 aces in her first season at MEA and was also named to the AA state all-tournament team. Sophomore Emily Brooks has 502 assists this season alone, along with 267 kills and 163 aces. Emily was the youngest player named to the state all-tournament team. Anne Turner Cobb, also new to the team this year, had an impressive season with 422 assists, 173 kills, 77 aces, and 3 blocks. 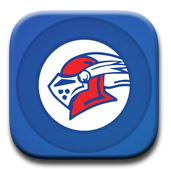 The Lady Knights will lose just two seniors, Madison McKee and Bailey Dees, next season and have an impressive group on the bench ready to continue the Knights run at the state tournament. 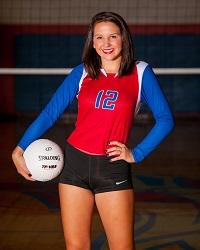 Macon-East Academy’s Sami Nesbitt was selected as the AISA All-Metro Volleyball player of the year. Sami is a 5-foot-8 senior outside hitter and the Lady Knights only returning starter this season. Coming off their 5th consecutive state title, the team was facing an uphill battle with a new coach and the loss of their starting line up. Sami stepped forward as the senior leader of the team and finished the year with 130 kills. Sami led the Knights to a state runner-up finish in the AISA Class AA state championship match at Faulkner University and represented the team in the AISA All-Star game. The Lady Knights ended their five year reign as state champions at last week’s finals at Faulkner University. With an outstanding season record of 20-4, all of the team’s losses came from one opponent. In the final match-up of the year, the Coosa Valley team edged out the Knights in a hard fought battle for the top spot. As the only returning starter, outside hitter and senior Sami Nesbitt stepped up to lead the team through a tough summer pre-season and coaching change. With two sophomores and one freshman rounding out the starting lineup, the Lady Knights will definitely be strong again next season. 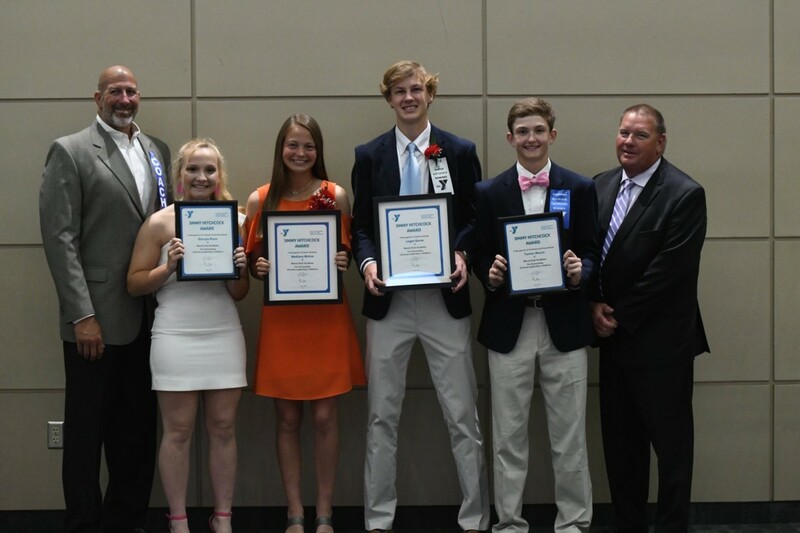 Sami Nesbitt and Bailey Williams were honored as members of the state all-tournament team, and Nesbitt will represent Macon East on the AISA East All-Star team this Saturday at the Montgomery Multiplex. The five time state champion Lady Knights volleyball team received their championship rings at a recent home basketball game. 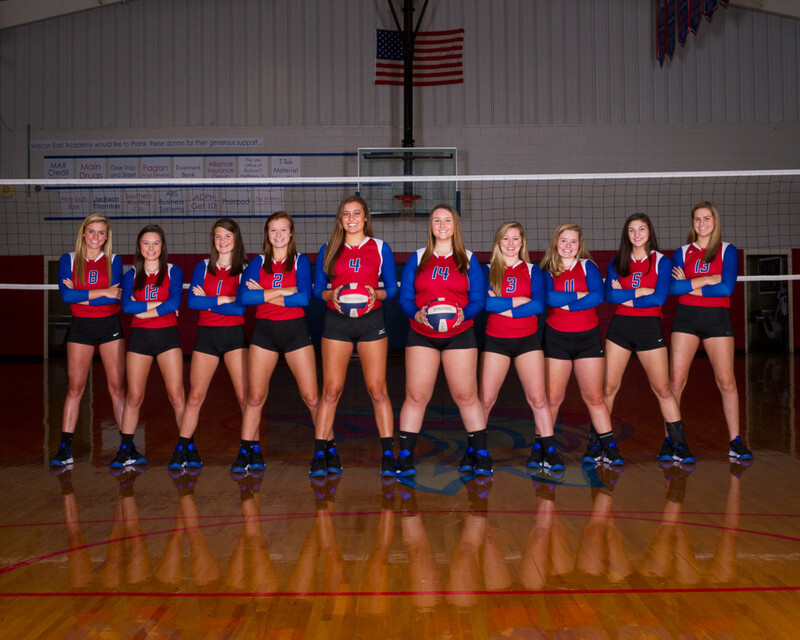 They went undefeated in 2015 with a season record of 29-0 and a 76 match win streak. Seniors Lexi Brantley, Jesi Garrett, and Payton Traff will all play at the collegiate level next year. The team clenched their 5th consecutive AISA AA State Championship defeating Kingwood Christian (25-19, 25-21, 25-20) in the final game of the state tournament at Faulkner University. Macon East senior, Payton Traff received a full scholarship to play volleyball next year at McHenry County College in Crystal Lake, Illinois. Payton came to Macon East as a junior, and was an incredible asset to the Lady Knights team. 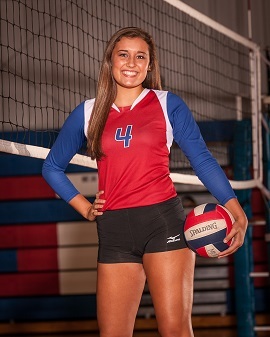 In her two seasons at MEA, Payton amassed 606 assists, 221 kills, 106 aces, 62 digs, and 7 blocks. Coach Amanda Baubles said, “Payton always adapted well to whatever position she was asked to play and did an especially awesome job as a setter.” Payton was named to the All-Tournament team in the Region and State Tournaments in 2015. She was also named to Montgomery’s All-Metro AISA team. Lexi Brantley made it official signing her letter of intent to play volleyball next season at Belhaven University. Blazers coach, Justin Dee is excited about the level of talent Lexi will contribute to next year’s team. 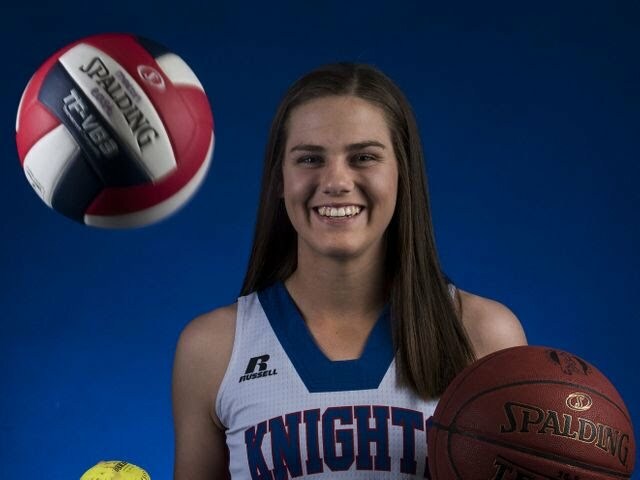 A six year varsity player for the Lady Knights, Lexi and the Macon East team have won 5 straight AISA state championship titles. Lexi reached two major milestones this season racking up over 2,000 career assits and over 500 career aces. Lexi is more than a team leader on the volleyball court, she is an outstanding student, president of the SGA, MEA’s 2015 Homecoming queen, and an all around positive roll model at Macon East. 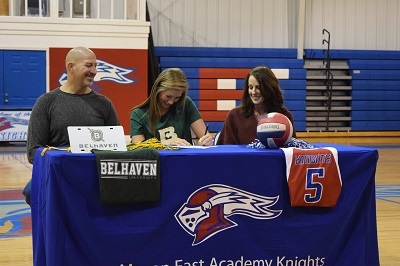 Lexi is a leader at Macon East on and off the court, and we wish her all the best at Belhaven.